For Namine’s tenth birthday, we took her camping. All packed up (and squished in, a little bit) and ready to go! 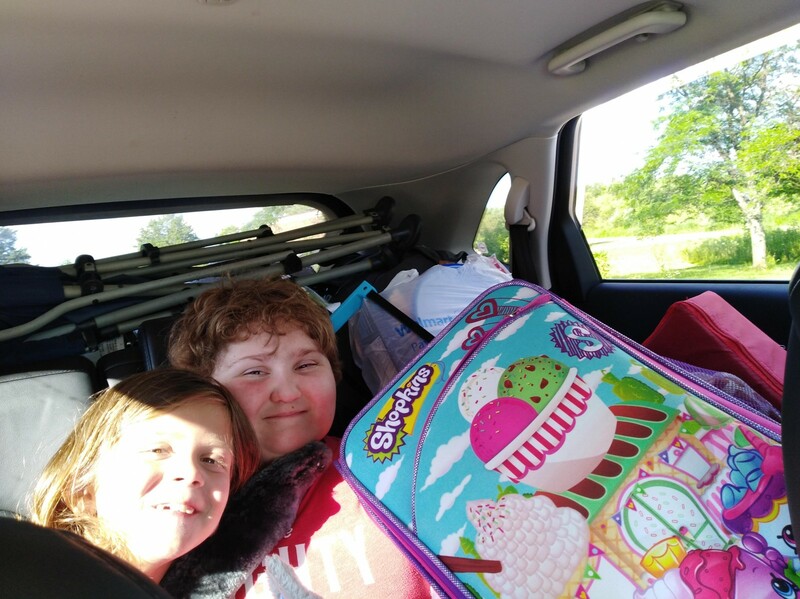 When we got to the campsite, the girls escaped the car while the adults (my aunt, Jessica, and myself) unloaded and put things in the cabin. 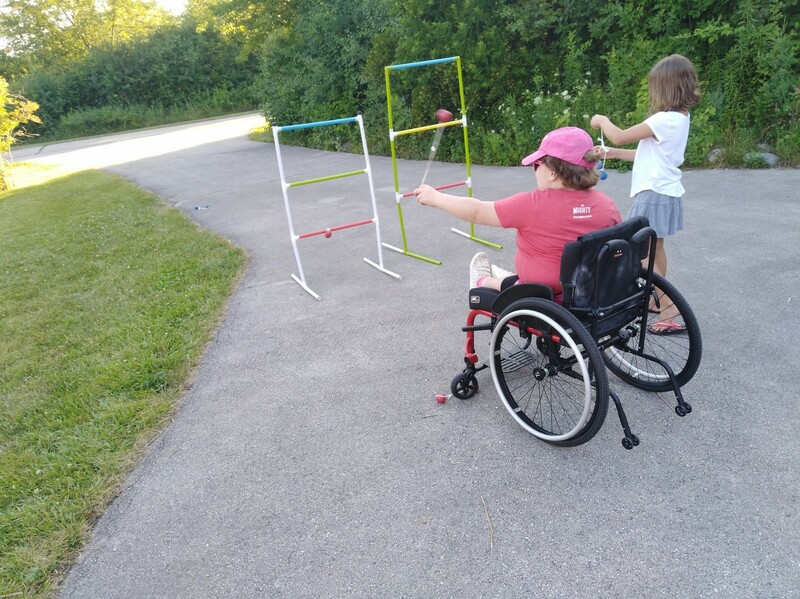 Then Jessica and I put together a tossing game for the girls while my aunt started the grill. What is this game even called? While the girls were playing, one of them (I don’t remember who) spotted a little speck moving across the driveway. It wasn’t a bug, although we had plenty of those; it was a tiny frog. I caught it — carefully — and let the girls hold it. That proved difficult, since (despite its size) it was very quick. 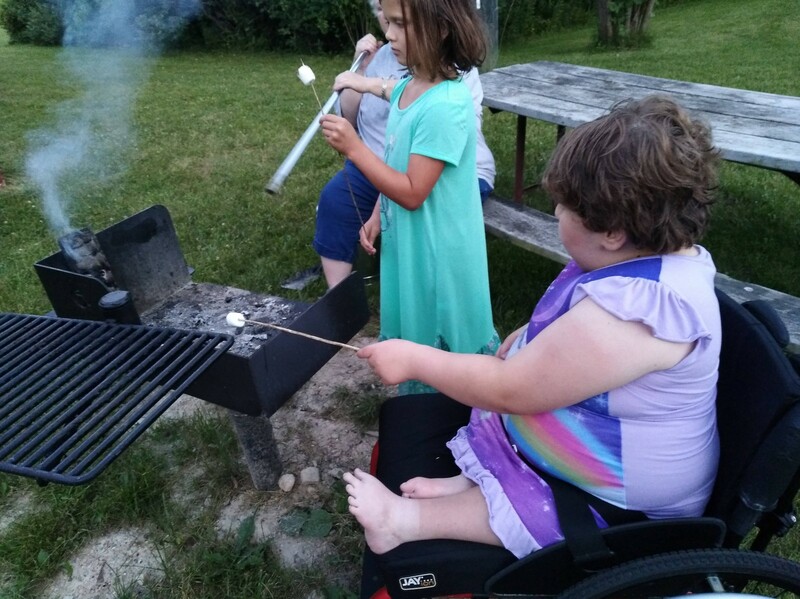 After dinner, the girls attempted to roast marshmallows. Unfortunately, the fire had died down too much. S’mores would have to wait for a different day.